/ How can the Vegetarian Give their Diet a Protein Boost? Protein is necessary for all human being. And when it comes to the vegetarian, having enough of protein intake through your diet becomes a major concern. Sometimes it becomes quite to understand what to choose and what not too. So here we are with some of the best diets for your highly rich in protein which will not help you in strengthening your muscles but also help you in weight loss. Have a look! The beans are considered to be rich in protein specially the chickpeas. It is also known as the garbanzo and has a high content of protein in it. Also the other variety of beans is equally protein rich lay the kidney, black pinto etc. All of these contain 15g of protein per cook cup in 240 ml. This again is a highly protein rich diet that you should go for. Also, it is not just healthy but equally delicious as it has a cheesy flavor to it. You can serve it with mashed potatoes or tofu or sprinkle it on your pastas and enjoy the health benefit while having your delicious savored meal. It contains 14 g of protein and 7 g of fiber both being equally good for your heath. Also if you go for fortified nutritional yeast, it will add extra health benefits by providing you with zinc, copper, magnesium, and vitamin B. These are high protein rich ancient grain, not many people are aware of. But the benefits that come with it are worthy of your appraisal. Spelt is a type of a wheat grain while teff is an annual grass. The former having gluten while the later one being gluten free. Both spelt and teff have 10 to 11 g of proteins cooked cup of 240 ml. Along with being highly rich in protein they come with additional benefits like fiber, carbs, phosphorous, magnesium, manganese etc. Also it is rich in vitamin B. You can always choose them as an alternative to your regular gain and boot your protein intake. This is yet other high protein rich ingredients that contain around about 10 g of digestible protein per ounce (28 g). Along with that it contains omega 3 and omega 6 fatty acids, iron, calcium, magnesium etc. all you have to do is to sprinkle some hempseeds on your smoothie and enjoy a healthy drink. 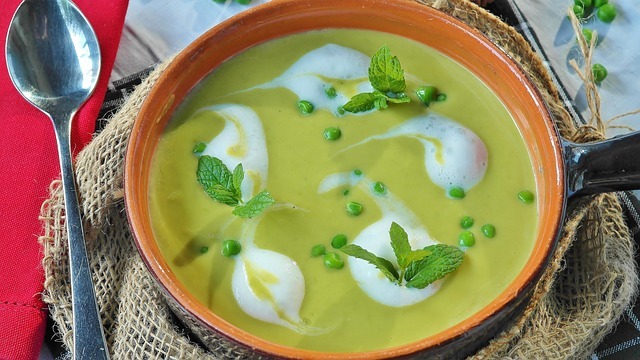 Mostly served as a side dish, green peas are a great alternative to supplement your protein intake. It has 9 g of protein per coocked cup of 240 ml. Along with that it is known to over 25% of the fiber that you intake on a daily basis like folate, thiamine, vitamin A, C, K etc. Other than that it is also a good source of zinc, magnesium, and there vitamin B elements. Therefore even if you are a vegetarian, you don’t have to worry. All of the food items mentioned above are highly rich in protein and consuming these some of these on a daily basis will ensure that you enjoy a good health.